Flight is inherently a risky venture, carried out in a hostile environment at great speed. Realistically and regrettably, a commitment to aviation safety can achieve no more than ‘as few accidents as possible’. Moreover, the tragic events of 11 September 2001 have conclusively demonstrated that aviation safety goes beyond accident prevention from a technical point of view and extends to more profound political, strategic and legal dimensions. Accordingly, aviation safety requires a multidisciplinary approach: technical, economic, managerial, and legal. This ground-breaking study analyzes, from a legal point of view, the mandate of the International Civil Aviation Organization (ICAO) relating to aviation safety in the light of changes which have taken place since the conclusion of the Chicago Convention, including the expansion of the international civil aviation community, the liberalization of the aviation industry, the introduction of new technology, and existing as well as new and emerging terrorist threats. The author clearly demonstrates that ICAO, as the worldwide governmental organization for international civil aviation, should be allowed a more proactive role in enhancing aviation safety. 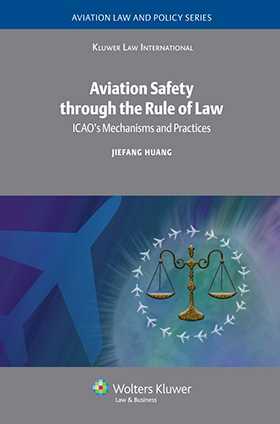 Describing in great detail the contributions of ICAO to the global safety regime and mechanisms, he submits effective ways to rationalize ICAO’s quasi-legislative and enforcement functions in order to enhance aviation safety through the rule of law. importance of the rule of law and the system of checks and balances in international organizations. As a plea to consider civil aviation safety obligations not only as merely contractual obligations between States but as obligations owed to the international community as a whole, this book is sure to give rise to far-reaching discussions and follow-up among policymakers and the interested legal community in the years to come. List of Abbreviations and Acronyms. 1. Defining Aviation Safety in View of the Global Interest. 2. Regulation of Aviation Safety by Means of a Technical Safety Code. 3. Protecting Aviation Safety from Military Operations. 4. Strengthening Aviation Safety against Unlawful Interference. 5. Enhancing Aviation Safety through the Rule of Law.